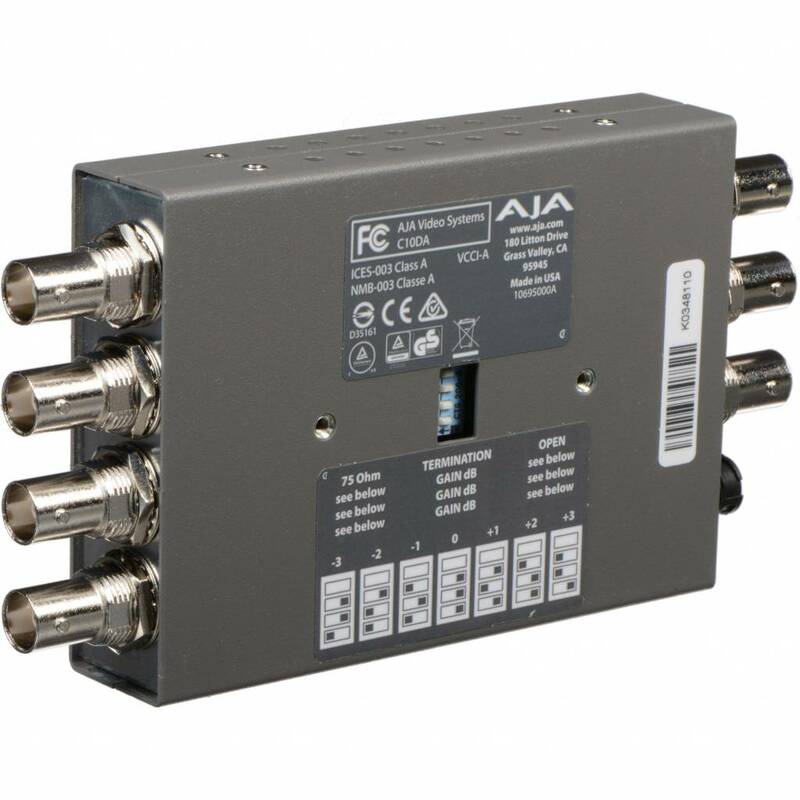 The C10DA is a 1x6 analog distribution amplifier with support for NTSC and PAL offering the ability to distribute multiple copies of the incoming signal or extend content of composite video with gain adjustment to compensate for long cable runs where needed. 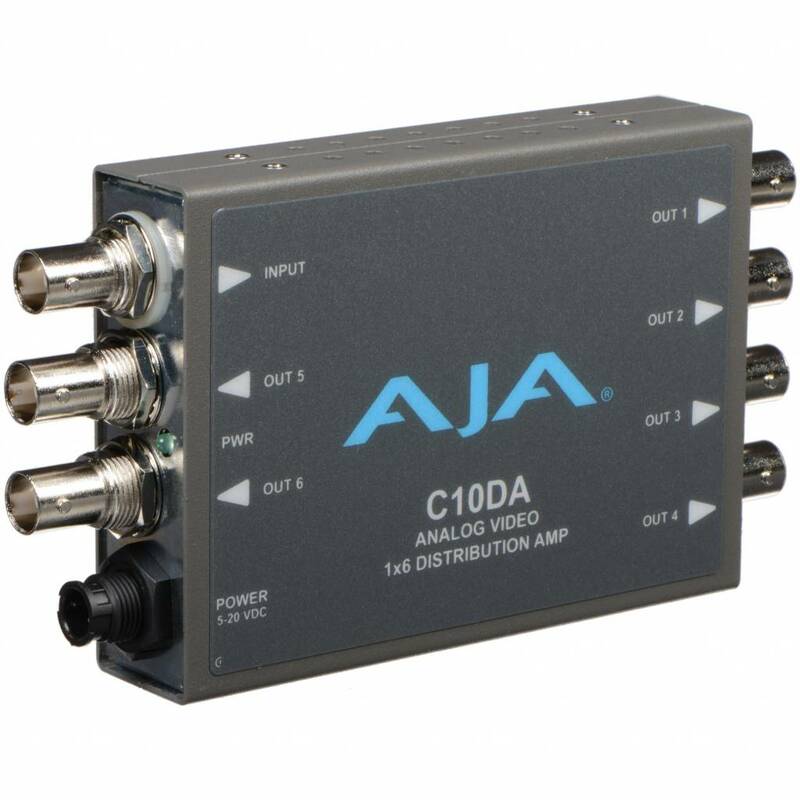 The C10DA can also be used to DA tri-level sync in an HD facility when a sync signal is fed externally into the video input. AJA mini-converters are small enough to fit behind a monitor, in the back of a rack or directly on a camera rig.